We are currently in Eclipse Season from the partial New Moon Solar Eclipse in Capricorn a few days ago, to the Full Blood Moon Lunar Eclipse in Leo on January 21st. Eclipse energy can be life altering and life changing in many different ways! Eclipse Season pushes all to the surface that needs “eclipsed out of your life!” And 2019 is the year that seeks balance of true unity and harmonic alignment in all areas of your life, so it is in your face powerful! Your mood may be a bit somber as the heavy eclipse energy moves through this month. So be sure to take note of what has arisen for you during the past week when eclipse season began. This is where your focus needs to be to clear out the lower energy that is blocking you from moving forward. The moon energy is powerful for all energy sensitives globally, but during eclipses, it is amplified x100! This particular season is revolving around your relationships, not only with others, but the relationship you hold with yourself. What is called to introspection is your authenticity (how you show yourself to the world), your self-love and acceptance of yourself and others, and how all areas within your life are in true alignment to your soul purpose. The relationships you hold with others will highlight if it is healthy, or dysfunction that needs to be cleared. Are others taking advantage of you, is a question you can ask yourself while going through a healthy review? This Energy is powerful, and if you don’t work with it, it will do the work for you by highlighting what is out of alignment in your life! Currently for the next 8 weeks, ALL Planets are Direct in forward momentum to assist you in your life/soul purpose and getting within your true harmonic alignment to prepare you for your “magical” year ahead! 2019 is a 3 Universal Year that will affect all on a global scale! And the number 3 is The Most MAGICAL of ALL! For past years the energy has been that of learning, growing and evolving your soul growth. Incorporating higher vibrational frequency upgrades and downloads, Kundalini activations, 1-7 Chakra Balance and Clearing. And a massive amount of emotional clearing, karmic clearing and trauma too! Self Mastery became the theme of 2018 with its Universal 11 Master Number energy: Mastering your super abilities, mastering your moods, mastering your manifestations from your Higher Heart, and becoming a responsible frequency keeper and anchor. As we closed out 2018 the higher heart chakra expansion pushed many through 4D to 5D and higher! 4D is duality. 5D is harmonic alignment and zero point. As each mastered frequency bandwidth recognition, the 8-12 Chakras activated through this harmonic alignment and much more came back online. Sacred Geometric codes began appearing; for some through the 3rd Eye, and some in the physical, to download sacred codes and upgrade more of your crystalline light body, bringing your higher chakras online. Your fractaled aspects came into full view from lineages of past lifetimes and integrated as one. All karma now cleared! 2018 was a tough year for many, but it forced responsibility for every aspect of your energetic output and how you are creating your manifested reality; not only from thought, but through timeline shifting too. Each year is a preparation for the next. If you do the work necessary, you reap the rewards and fruits of your labor pains of birthing a new. 2019 will be a much easier vibe in energy flow. And this will support you in every area of your life! As mentioned, 2019 is the year that calls you into harmonic alignment in every area of your life! This year of creative expression and magic will push many out of their comfort zones with ZERO fear of the unknown. When you step into harmonic alignment, the Universal energy supports your every endeavor. You are now in alignment with the Universal Flow of Abundance! There is zero lack and all of your needs are met in Divine right timing. Magical happenings will occur to guide you on your new path and journey seemingly out of nowhere. Be prepared for change in the most auspicious ways! Follow the magic wherever it takes you, and where you are being guided to share your energy with others. In just a few days we have the first 1-11 magical manifestation portal. Currently Jupiter and Venus are conjunct until the 21st, so Luck, Love and Magic are all on your side WITH all planets Direct for the next 8 weeks! What are you waiting for?! The Cosmic Universal energy is supporting your every desire! I am so excited to see what this year brings for many who have stepped over the threshold of 3D and who are living their best life now! Know that the best is yet to come! I am so blessed to be connected with all of you on this most amazing journey of elevated consciousness into New Earth! This is a state of: BEing/DOing/SHAREing/ANCHORing and BRINGING to the table your unique gifts and super abilities to share with the world. As each steps into their “Soul Role” it elevates the Collective Consciousness to Higher realms of dimensional magnificence! 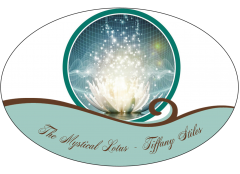 Next Next post: Cosmic Energy Report Update by Tiffany Stiles ~ Check Yourself!